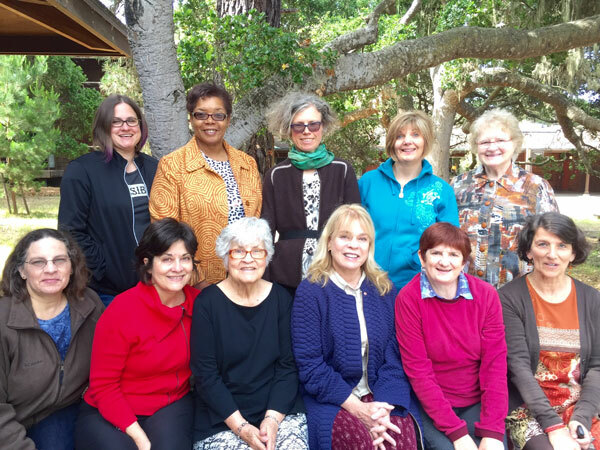 Sewing retreat on Monteray Bay, CA with Jane Foster. Spring 2015. 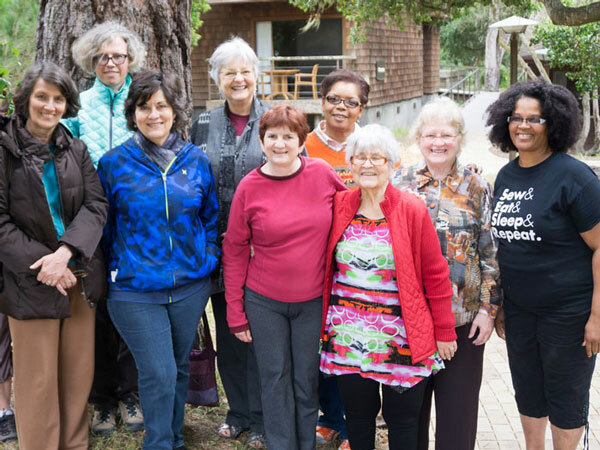 Asilomar Conference Grounds. 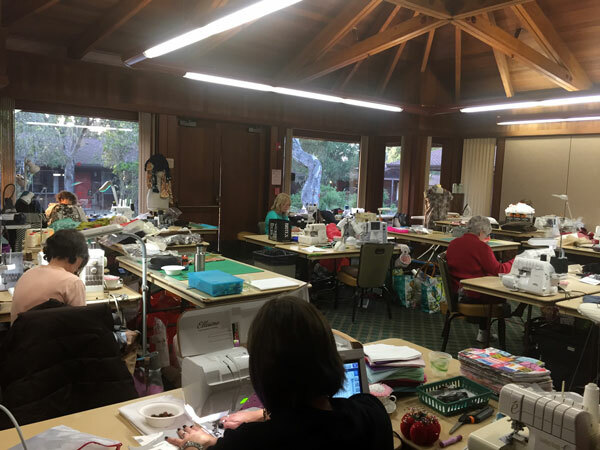 Everyone is happy to be able to have a sewing vacation with Jane, and they loved the space, friendships, and sewing. 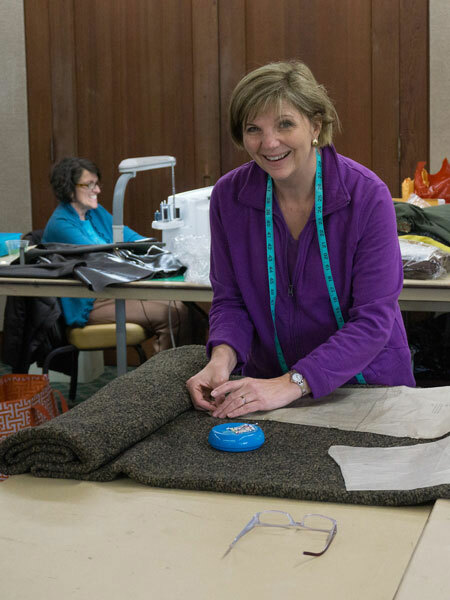 Barbara is getting ready to cut out a coat from a fabric gifted to her by another student. Silk charmeuse on the bias in your eye color! It doesn't come more elegant than that Barbara. 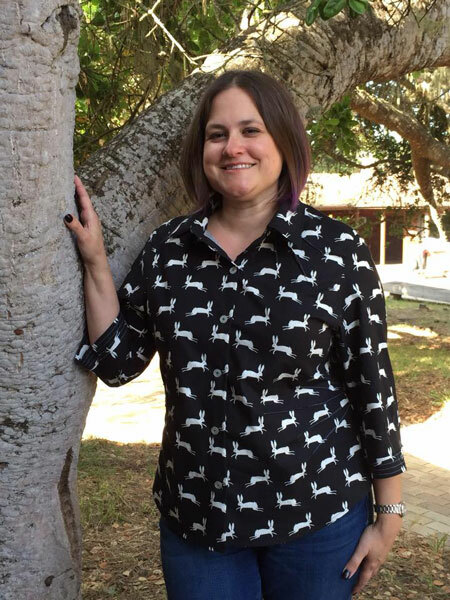 Carrie went home wearing her rabbit shirt...fabric she'd bought from Hartz Fabrics on the way down. 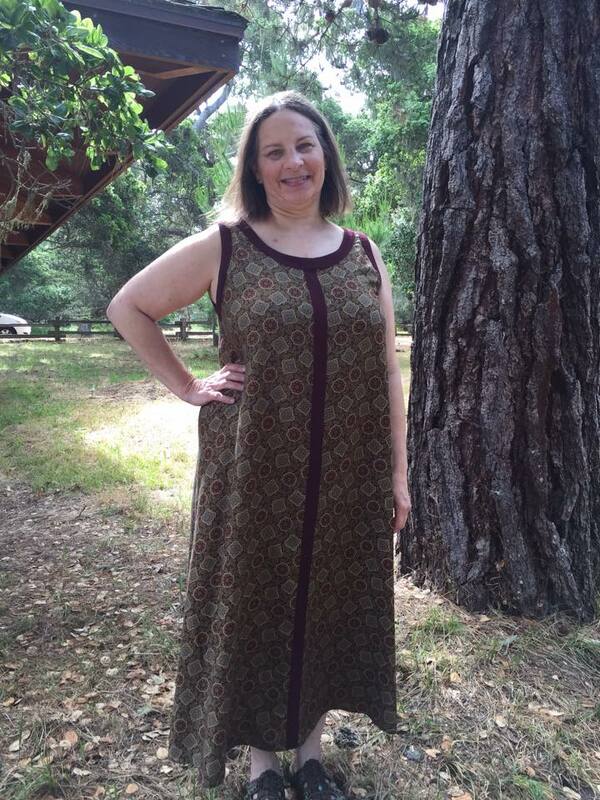 She used Katherine Tilton's Butterick pattern B6026. She always has a smile for you. 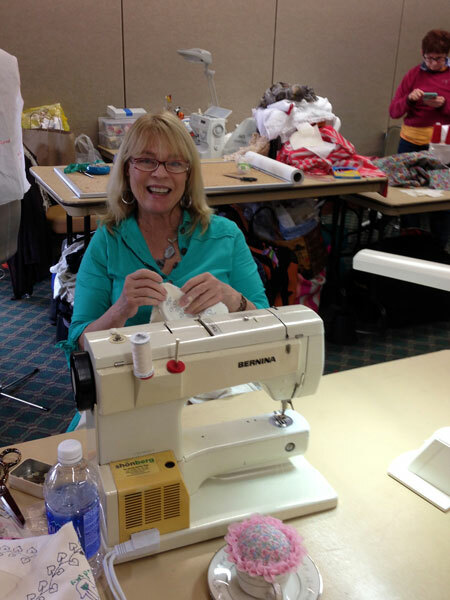 Vicki M got lots of creative sewing done this week! Vicki M loves red and this dress is nearly finished. 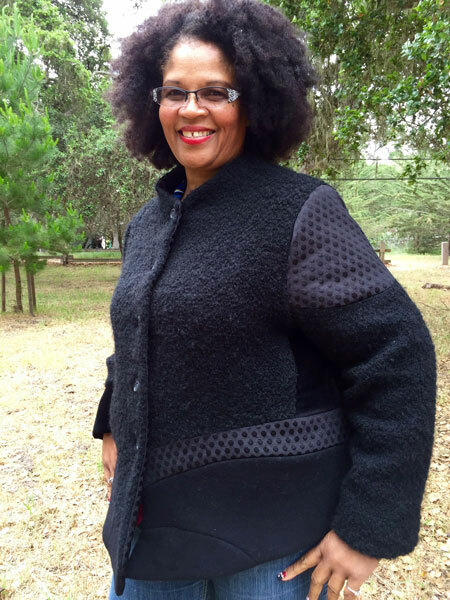 Sandra was inspired by Jane's challege to make a jacket using Marcy Tilton's Vogue 8676 pattern. 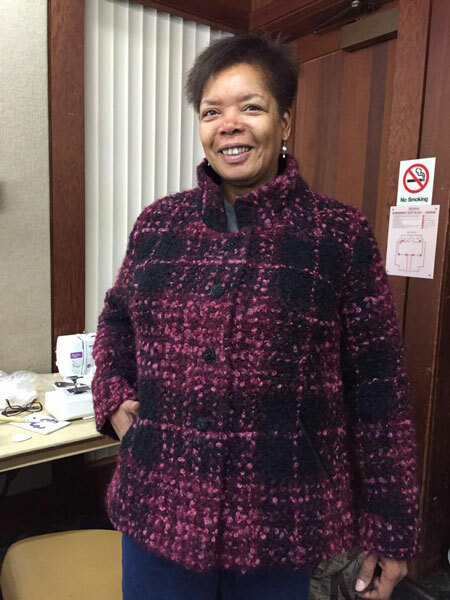 She purchased the wool boucle from Moods in New York City, and flew here from New Jersey to join us. 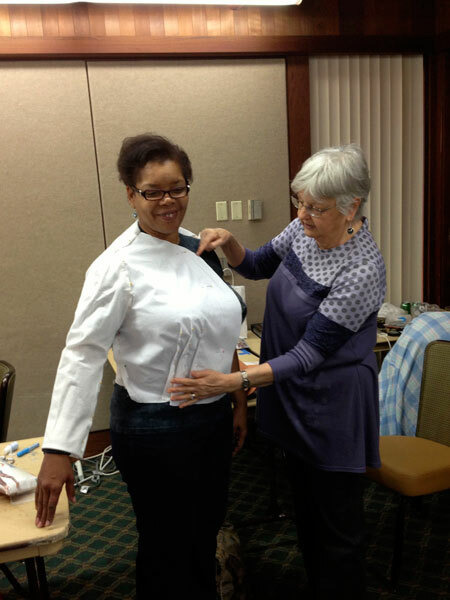 It was a very proud moment for all of us when she completed this gorgeous silk lined, couture jacket. 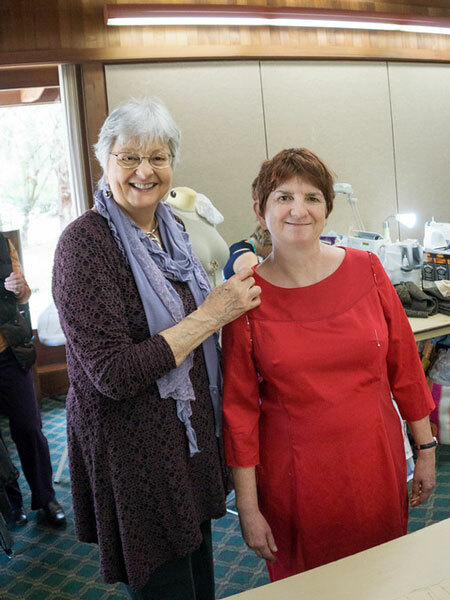 Jane is fitting a muslin on Sandra for a jacket. 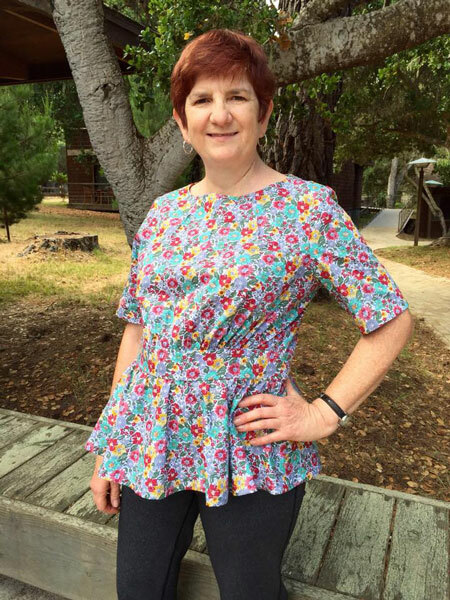 The Vogue pattern 8621 (out of print) was designed by Claire Shaeffer. I am sure you will see the completed jacket on this website soon. 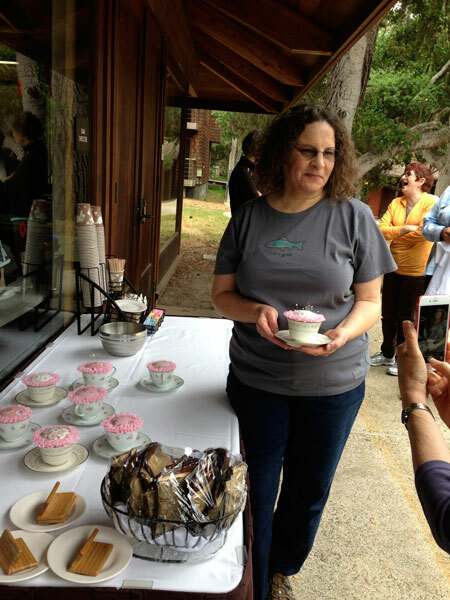 Laura gifted everyone a beautiful pincushion inside of a cup and saucer. 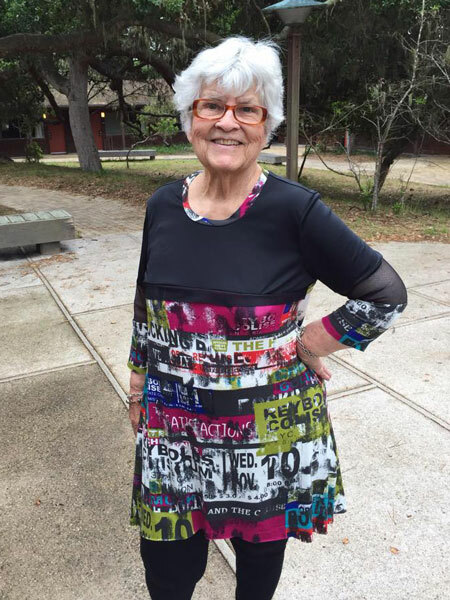 Laura worked on this cool dress for the summer heat. 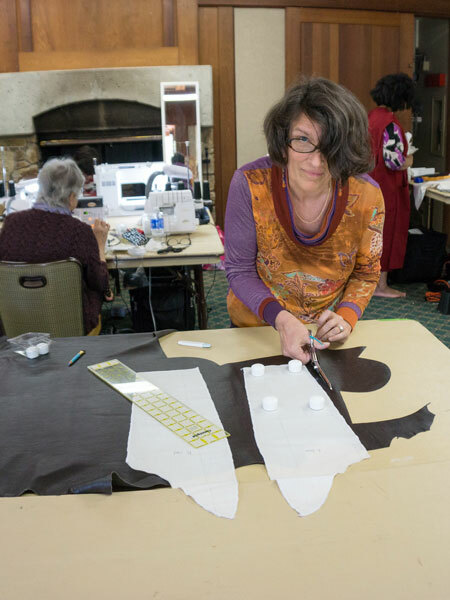 Jasna created this wonderful tunic with a side pocket. She copied the pattern from ready to wear. 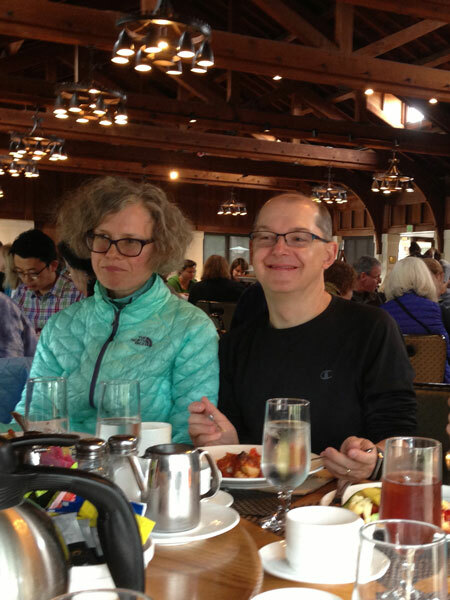 We were happy Jasna's husband Igor could join us for lunch one day and take some photos for us. 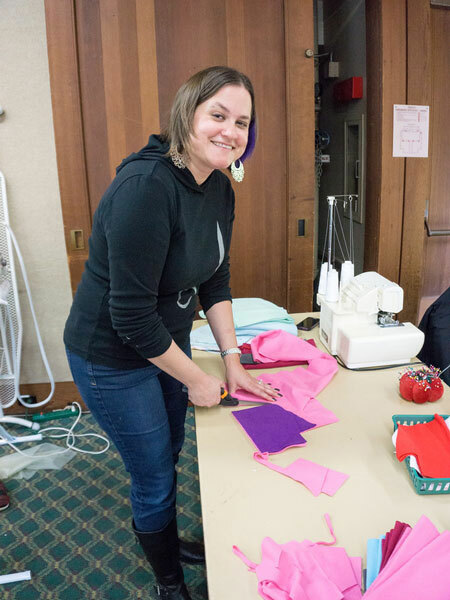 With the last piece of leather being cut, Vicki E is happy the more difficult parts of making this jacket will be done. 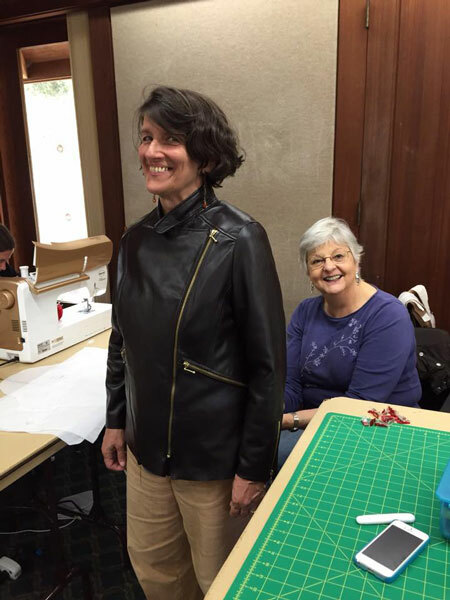 Vicki is reviewing her amazing leather jacket with Jane. 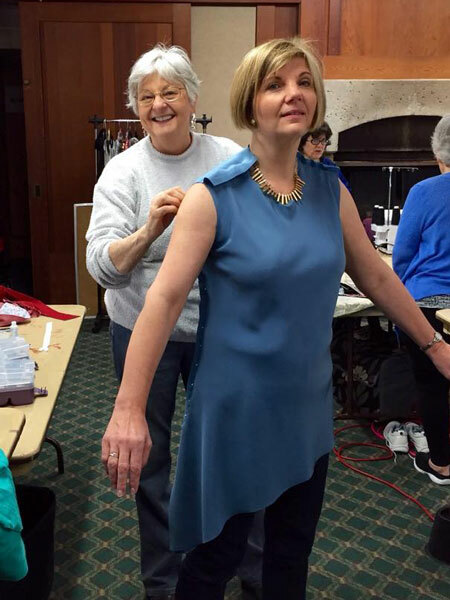 The sleeves went in really well and all the zippers are installed. Now she just has the silk charmeuse lining to finish. This is a masterpiece. The leather came from The Hide and Leather House in Napa, CA. 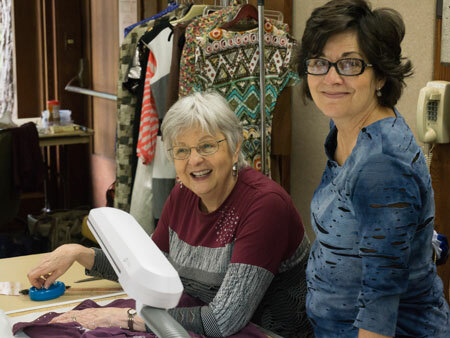 Jane is helping Santina make a pattern for a jacket from a ready to wear jacket. 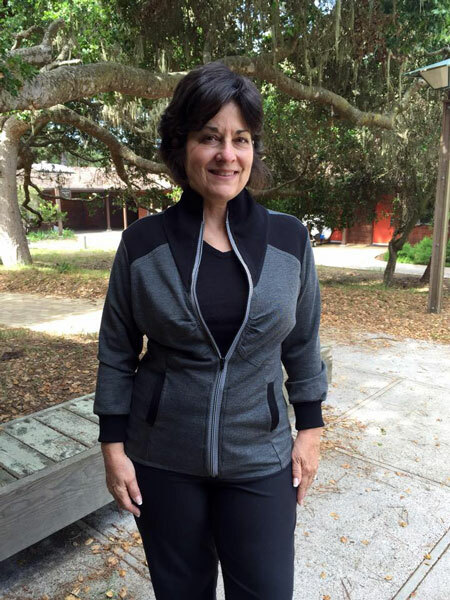 Here is the very cool knit jacket Santina made with the ready to wear pattern. 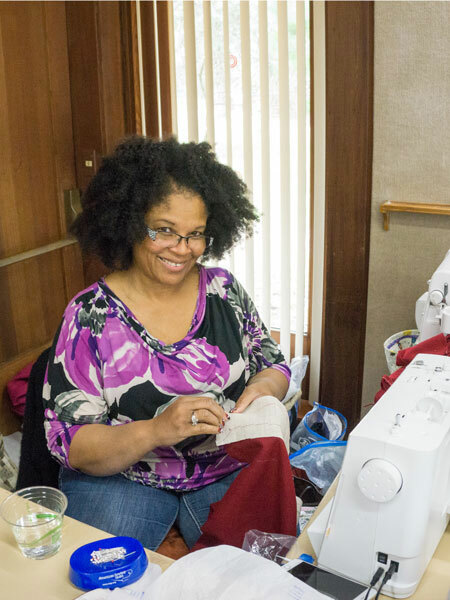 The ponte and ribbing came from Stone Mt and Daughter Fabrics in Berkeley, CA. 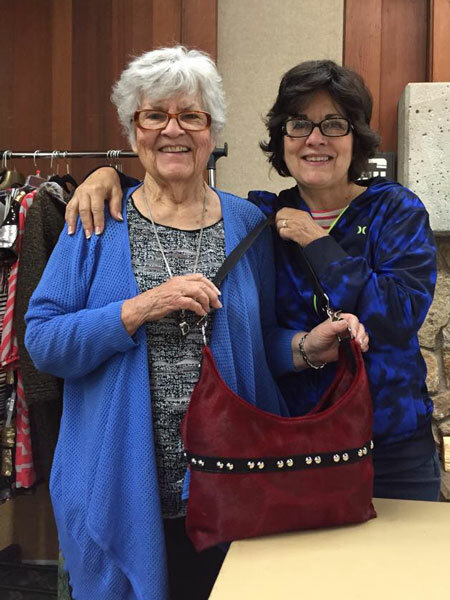 Talented Santina made this wonderful bag for her Mom Sylvia for Motheris Day. The leather came from The Hide and Leather House in Napa, CA. 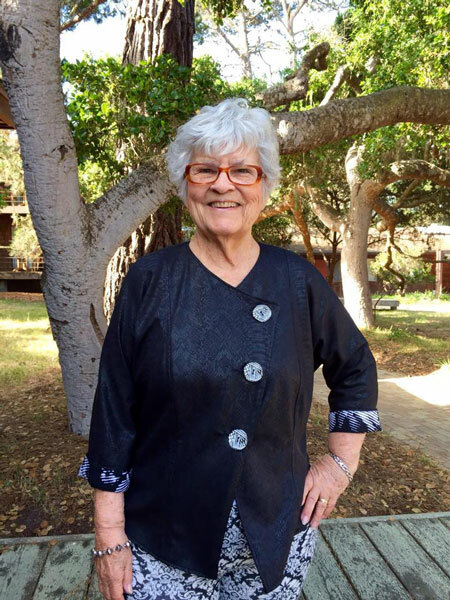 Look how stunning Sylvia looks in Katherine Tilton's tunic pattern Vogue 8817. 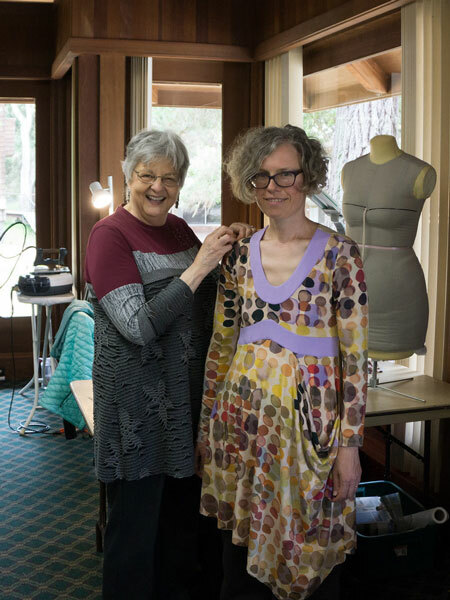 Our lovely Sylvia made a reversible knit jacket and another tunic top! 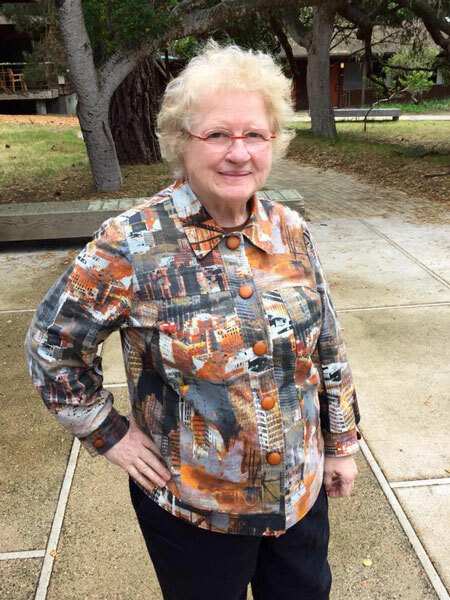 The jacket is Sandra Betzina's Vogue pattern. 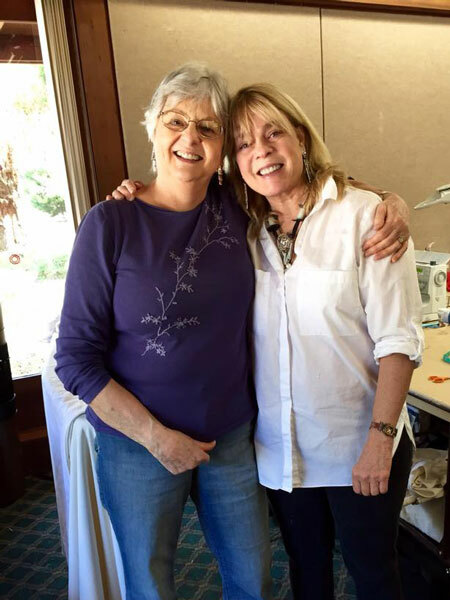 Ellen is working on a special prayer shawl for the rabbi. She has been working with a group of students who have decorated the piece. 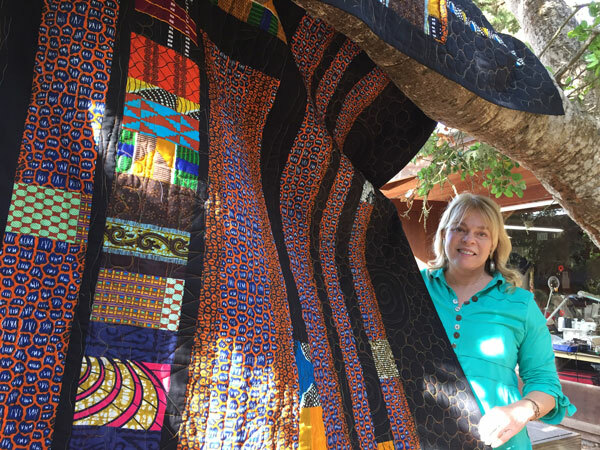 This is the African quilt Ellen made as a gift for her friend. Outstanding!!! Susie is making a red coat. Susie made another fantastic jacket. Sharon's jean jacket is done. The fabric came from EmmaOneSock. The pattern is one copied from ready to wear. 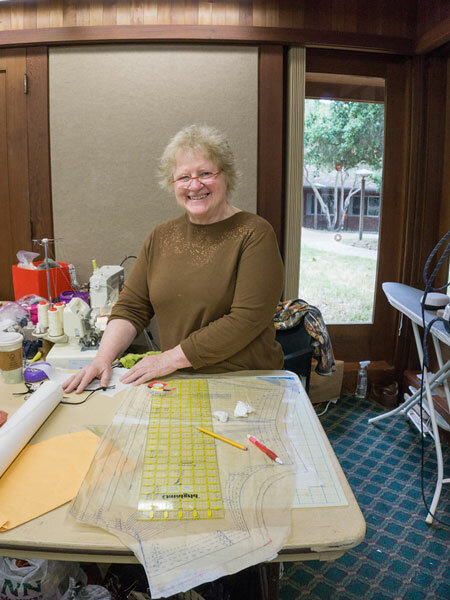 Sharon is working on a Katherine Tilton pattern.